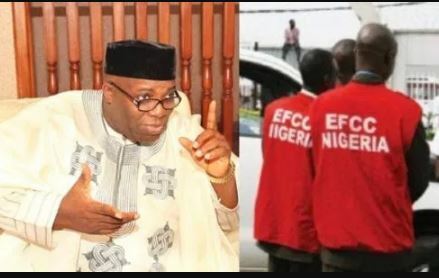 The Economic and Financial Crimes Commission (EFCC) has re-arrested and detained a former presidential adviser, Dr Doyin Okupe. Dr Okupe, a chieftain of the Peoples Democratic Party (PDP), confirmed his arrest to journalist on Friday, disclosing that he was detained and would be arraigned on Monday next week, as against the January 18. The anti-graft agency also confirmed the development saying Dr Okupe was being charged for corruption and would be arraigned at the Federal High Court in Abuja next week. Dr Okupe, however, faulted the change of date for his arraignment by the anti-corruption agency. In December last year, the PDP chieftain claimed that some EFCC operatives stormed his residence in Lagos and confronted him with an allegation of cyber-crime. Instead, Dr Okupe said he offered to visit the office of the anti-graft agency and was later taken into custody by the EFCC and questioned over allegations of financial fraud and other activities in his office during the previous administration.